Force Navale-Zeemacht, 40 Sqn; operated in the Persian Gulf from A961 "Zinnia"
Force Navale-Zeemacht, 40 Sqn; hit water in the Persian Gulf after incorrect radio altimeter setting while on night deck landing on the A961 "Zinnia" ship; pilot recovered control of the helicopter and landed safely on the "Zinnia"
Force Navale-Zeemacht, 40 Sqn; left Belgium for Somalia on board A961 "Zinnia"
Force Navale-Zeemacht, 40 Sqn; seen in Burkoy, Somalia, in Marine c/s. Force Navale-Zeemacht, 40 Sqn; seen in Baladur Raxma, Somalia, in UN c/s. 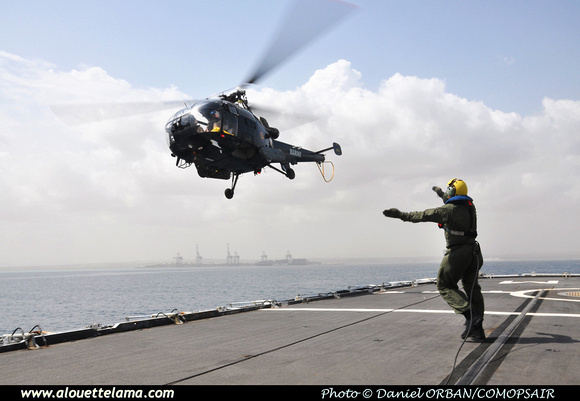 Force Navale-Zeemacht, 40 Sqn; seen in Afmadow, Somalia, in UN c/s. Marine, 40 Sqn; operated in the Mediterranean Sea from A960 "Godetia"
Marine, 40 Sqn; operated from Dutch Navy Ship HNIMS "Zuiderkruis"
Marine, 40 Sqn; take part to a 900 kg cocaine seizure in the Caribbean Archipelago when operated from Dutch fregate "Abraham van der Hulst"
Marine, 40 Sqn; take part to a 4700 kg marijuana and cocaïne seizure in the Caribbean Archipelago when operated from Dutch fregate "Abraham van der Hulst"
M-1/OT-ZPA Eurocopter (Aérospatiale) SA316B Alouette III MSN 1812, COMOPSAIR (Belgian Air Force) - Koksijde - EBFN - 04-07-2009 - Photo Pierre Gillard. 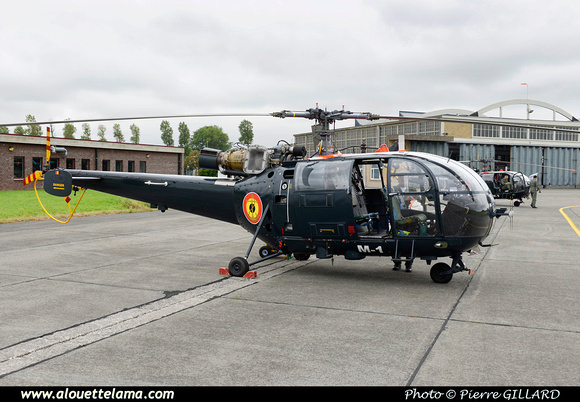 M-1/OT-ZPA Eurocopter (Aérospatiale) SA316B Alouette III MSN 1812, COMOPSAIR (Belgian Air Force), Marine Flight - F931 Louise-Marie Frigate - Indian Ocean - 11-10-2009 - Photo daniel Orban, Belgian Defence. 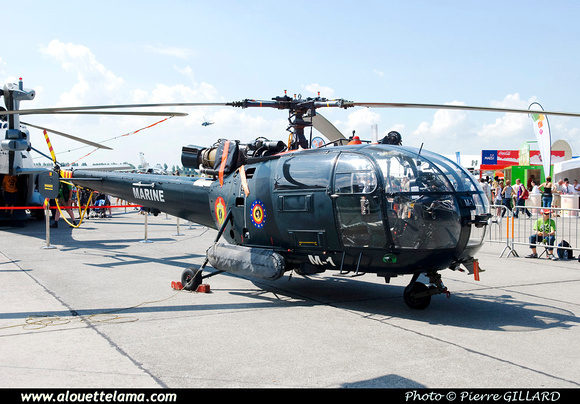 M-1/OT-ZPA Eurocopter (Aérospatiale) SA316B Alouette III MSN 1812, COMOPSAIR (Belgian Air Force) - Koksijde - EBFN - 21-07-2014 - Photo Pierre Gillard.